Summary:More than 40 million people worldwide are blind, and many of them reach this condition after many years of slow and progressive retinal degeneration. 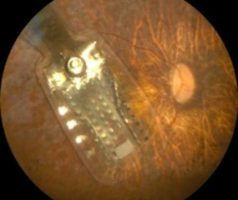 The development of sophisticated prostheses or new light-responsive elements, aiming to replace the disrupted retinal function and to feed restored visual signals to the brain, has provided new hope. However, very little is known about whether the brain of blind people retains residual capacity to process restored or artificial visual inputs. A new study publishing 25 October in the open-access journal PLOS Biology by Elisa Castaldi and Maria Concetta Morrone from the University of Pisa, Italy, and colleagues investigates the brain’s capability to process visual information after many years of total blindness, by studying patients affected by Retinitis Pigmentosa, a hereditary illness of the retina that gradually leads to complete blindness.